So hats off to the new Tracer 700 because it’s been the perfect tool for riding around the outside of all the overweight tourers and Lyrca-clad chicanes congesting the Dolomite’s many mountain passes. The engine is identical in both spec and output to that of the naked MT-07, however the air intake and exhaust have been revised in order to meet Euro4. With a useable 74bhp and punchy 51ftlb of torque, it made easy work of powering out of nadgery, steep hairpin bends. 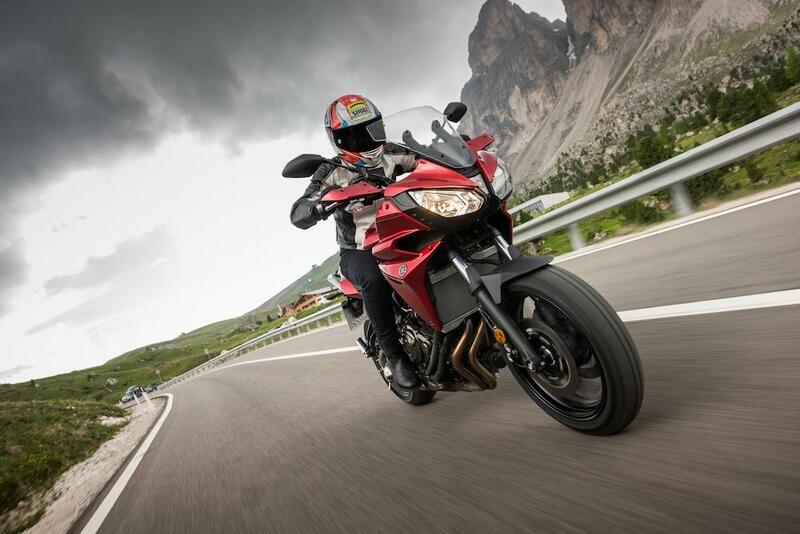 The new twin-cylinder Tracer features all-new ergonomics which make it feel like a much larger bike. The foot pegs remain in the same place as on the MT but a new rear subframe has raised the seat up by 35mm meaning there's now more legroom, meanwhile the bars have also been raised and moved slightly backwards. These changes create a really comfortable, commanding riding position, especially when combined with the cocooning effect generated by the new 17-litre fuel tank (three litres larger than the MT-07's), and the subtle wind-cheating effects of the manually adjustable screen, small hand guards and one-piece bikini fairing. The other key change is the Tracer's aluminium swingarm in place of the naked's steel unit. 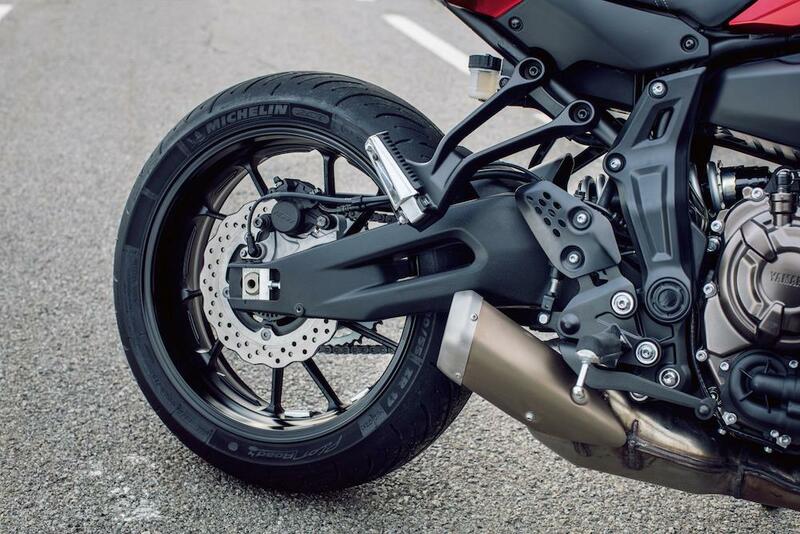 It's been extended by 50mm to provide greater stability when fully loaded, and also has the effect of neutering the MT-07 platform's instinct to wheelie. The suspension's also been reworked, with the front fork running a revised spring rate to cope with the added weight of the fairing, as well as longer travel for more touring comfort. The rear shock is also physically longer with more travel and revised linkages. It gives a ride that is well-damped without lacking control, meanwhile the lengthened wheelbase and increased rake have done nothing to spoil the bike's agility. In fact it tips into bend with incredible ease. With a fully fuelled weight of just 196kg, the lightest bike in its class, the gutsy twin-cylinder Tracer has been a blast on these bonkers bends up on the rooftop of Europe, and thanks to the brilliant Michelin Pilot Road 4 tyres, I’ve never given a grip a second thought, very reassuring through the biblical thunderstorm we rode through earlier. 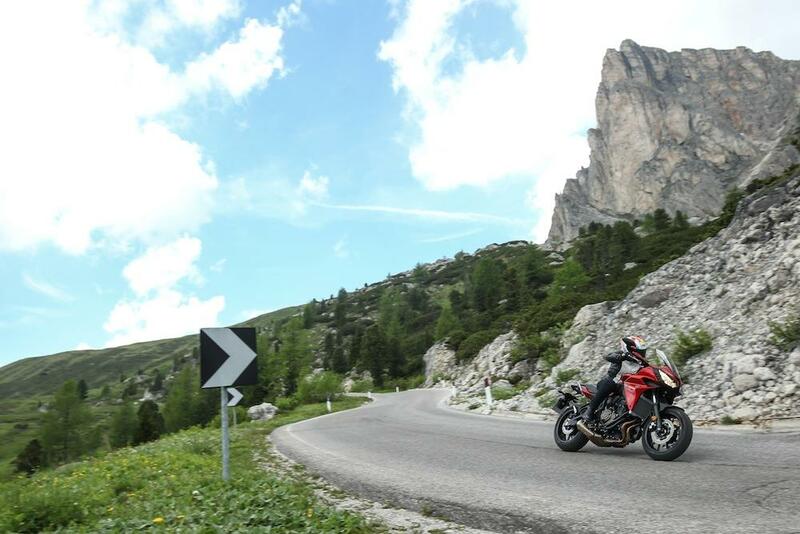 With an impressive range of accessories – like luggage, screens, heated grips, comfort/heated seats, crash bars, fog lamps, 12v sockets and more - excellent 200-mile plus tank range, and superb comfort, the Tracer 700 ticks all the touring boxes. 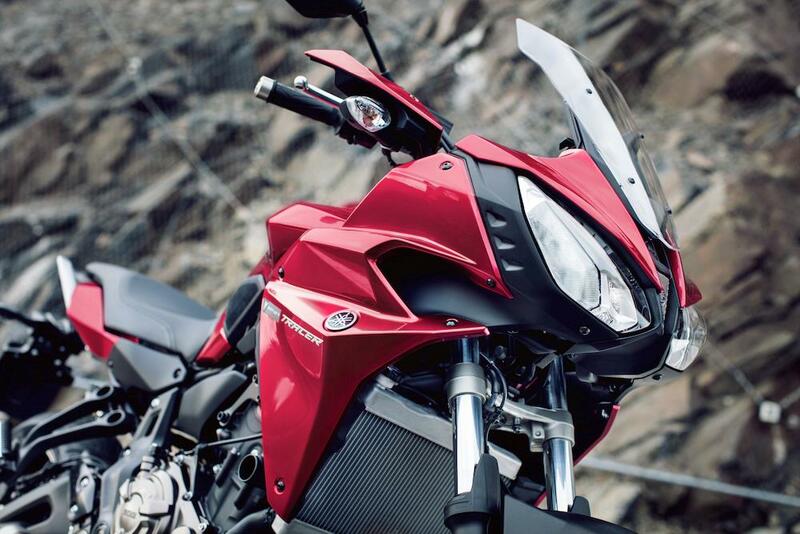 Yet with its low weight, composed suspension, easy-to-use engine and agility, it's the perfect fun bike too, and proves that sports tourers don't need to be big, bulky and expensive to put a smile on your face. Brakes Twin four-piston front caliper with 282mm discs, single-piston rear caliper with 245mm disc. ABS.